We Grant Best Price Guarantee! WE SHIP WORLDWIDE! Murano’s reputation as a center for glassmaking was born when the Venetian Republic, fearing fire and destruction to the city’s mostly wooden buildings, ordered glassmakers to move their foundries to Murano island in 1291. 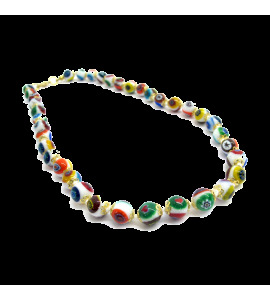 Murano glass is still interwoven with Venetian glass. Choose Murano Store: A unique shopping experience from the Factory to your home! Murano Store really simplifies your life! The new e-commerce platform is comfortable and convenient offering affordable prices plus the opportunity to purchase our Murano glass Art of the highest quality, original and guaranteed by the Murano Glass trademark in total security 24 hours a day, 7 days a week! We choose to offer completly FREE SHIPPING* for orders over 99 EUR and the possibility to return the items (if you are not satisfied with them) within 30 days of your purchase! You can choose the payment method most convenient for you, on our store you can pay by bank transfer or credit card, or through Paypal. Not only art: get yourself surrounded by luxury in your home thanks to the best our products! Murano Store devotes much attention to the careful selection of Italian products made in Murano Island and offers a wide variety: Home Decor, accessories for women and men or Gifts for special occasions and Corporate Gifts. For your home you can choose between the Collection Goblets or Thumblers (called "Goti de Fornase") to decorate a classical case display. For your personal corner you can choose Glass Cups, Classic Murano glass Vases or simply a Table Lamp that will add a touch of warm lighting to your design furniture. Other Home Decorations we offer are Sculptures, Figurines, Colorful Clowns, Glass Animals like Birds and also pieces from Museum Art Collections. 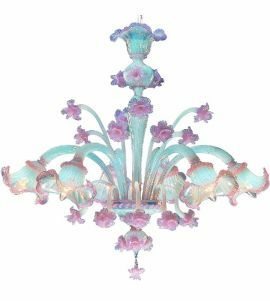 And of course we will not neglect the important section dedicated to Glass Lighting where our Crystal Venetian Chandeliers are catalogued from classic to contemporary and modern styles or colors which will tastefully match your furniture and other decorations in your home or the public space you manage. Are you looking for gift ideas for a special occasion? 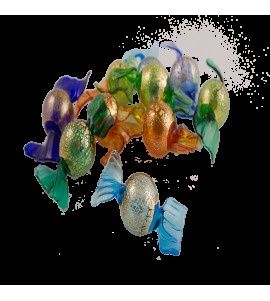 Here you will find a wide range of Murano Glass Gifts with clear photos and detailed descriptions. We have something for any event including wedding favors for your marriage ceremony or a present to give loved ones on their anniversary. 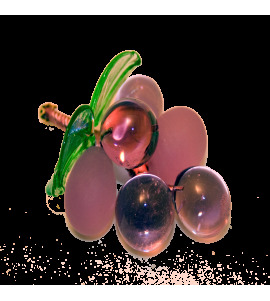 Your have a great choice of Candies, Blown Candle holders, Flowers, Glass Fruit, Glass Bowls, empty pockets saucers and even Stainless Steel wine bottle stoppers. You work for a company and you want to offer your commercial partners a gift of great taste and quality for meetings, business dinners, conferences or events? 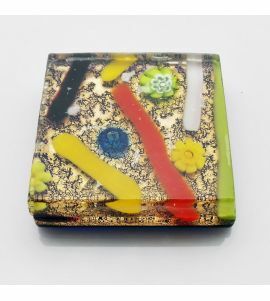 Look then for our Clocks, Photo frames, Plates, Trays, Centerpiece Vessels, Paperweights with "murrina" and different Murano Glass Objects which can be customized. 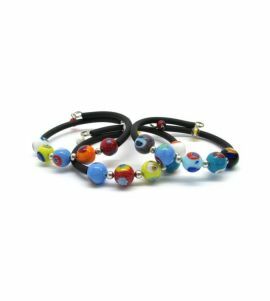 Then discover our Murano Glass jewelry. Their elegance can be yours to shine and get you noticed by your friends: their colors will enliven a dark atmosphere and you will light up in the most beautiful way! 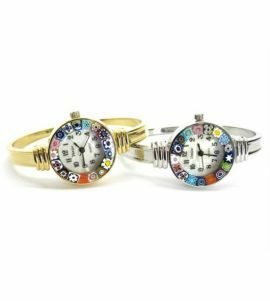 With many trendy and fashionable items our collections are updated every second season by offering ready-to-wear fashion accessories like Bracelets made from blown Beads, Pendants and Necklaces, unique Murano Glass Watches, men's cufflinks, a special glass pendant or a Pair of Earrings. All of these are carefully crafted to match the latest trends while also being unique thanks to the great versatility of Italian Jewellery craftsmen. For your Business we can supply special Contract Furniture. We work with interior decorators and designers as well as architects. Our particular glass creations like the Chandeliers are requested for special applications in Hotels (rooms and hotel lobbies), Restaurants, Luxury villas, Palaces, local shops, offices, Banks, Boats, Casinos, airport halls, Theatres and many other institutions. Our dedicated Staff are always available to give you support, information and assistance for your glass projects. Our Millenary tradition is completely at your service to create, produce and sell unique custom piece. Discover all the suggestions we have prepared for you! 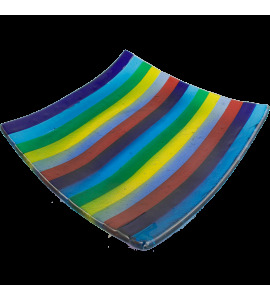 Allow yourself a unique style of Venice Glass! If you love our products as well as our our tradition, help us to keep it alive! 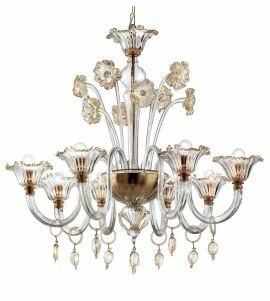 Follow our guide on how to identify the original Murano glass. Stay always up to date with our new products! 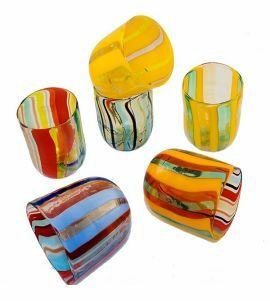 Our Venice Glass Experts will surprise you with many innovations by selecting objects with respect to the ancient tradition of Venetian Glass craftsmanship while listening to the valuable advice of the Murano Glassmakers. What are you waiting for? 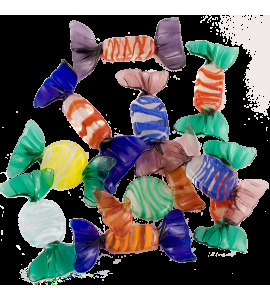 If you're not yet convinced, you will be once you start browsing through the many offerings of Murano glass Products. 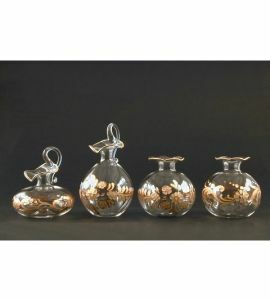 Very soon you will be conquered by the style of the exquisite products on display at Murano-Store.com! Or you are worried about a limited budget? Do not worry! Discover the many special deals in our Outlet Bargain Corner: Chandeliers, Home Decor, Gifts, Jewelry and more await you at excellent prices! Have you taken a look at our suggestions? Below you'll find the best tips about the styles, the products that are pertaining to the latest trends, the decorations and gifts suited for Special Occasions. 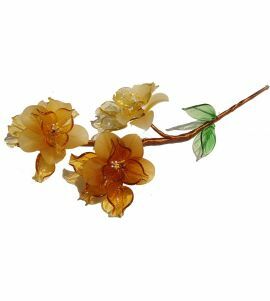 If, for example, you do not know what to offer as a present or if you have a wedding coming and do not know what to favors to give, look out for our Glass Gift Ideas of all kinds where you will find many valuable tips! 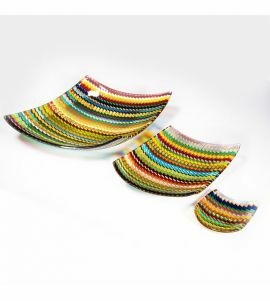 Click on the following tags and be inspired by Murano Store!